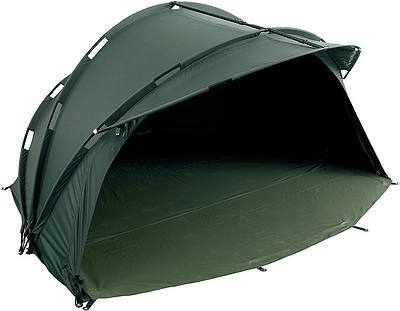 From reviewing my fishing bivvy advice, I have researched a few Bivvies, one shelter which slightly differs from my considerations is the Trakker Trident Bivvy from Fishtec. This is because its an open faced bivvy, so you can easily get out of the Bivvy when the bite alarm goes off. Trident is the all new bivvy from Trakker. The perfect solution for anglers wanting the freedom of an openfaced bivvy but without compromising the security and protection you get from a fully enclosed bivvy. Like our Armo range of bivvies the Trident is made from groundbreaking Aquatexx material that’s over 40% stronger than conventional nylon fabrics. Those who know buy Armo. Can be used as a day shelter, or with the addition of a super extended wrap, an emergency 2 man bivvy.